2. Can we see your work? 4. 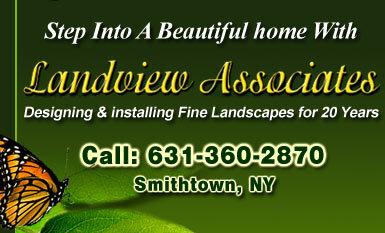 Are you licensed as a New York construction and landscaping company? 6. What size construction jobs do you do? 7. How much will the construction cost? 8. Do we have to get a Permit? When are Permits required? Yes. You will find some of our references listed on our testimonials page and can provide additional upon request. Absolutely! Some of our landscaping and construction work is featured in our Photo Gallery. Many of our clients are happy to show our work, both interiors and exteriors. Contact us for details. Yes, both as a General Contractor and as a Landscape Contractor. Our credentials are found on our About Us page. Of course! We carry Worker Compensation and Liability Insurance. Certificates are available upon request. As a New York construction and landscaping company, we do projects ranging from a few thousand dollars to $900,000 additions. All jobs have a different degree of difficulty, which is incorporated into the "unit" costing. A unit can be by the square foot (i.e., patios or decks), or by the linear foot (i.e., fencing ). Remodels and additions are priced by labor and materials. The best way to have this question answered is to contact us and we’ll gladly talk with you about your specific needs. This depends on where you live and the type of work being performed. Absolutely! We strive for happy, satisfied customers. This is the whole premise of our business, and one of the reasons for our success as a New York landscaping and construction company.